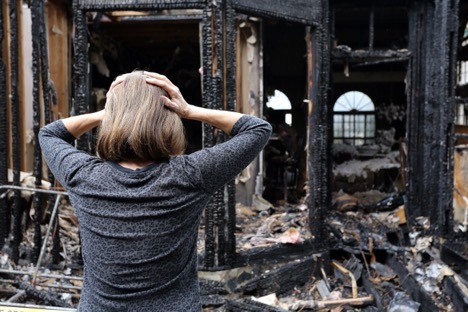 Unlike automobile accidents, where insurance companies will typically assign fault to claims, things are handled differently for fire damage claims to your home. The fire department will conduct an investigation into the cause of the fire to determine how it was set, such as intentionally, from faulty wiring, from lightning, or due to a brush fire. The investigation is necessary, as your insurance company will want to know how the fire started. Fire insurance will normally cover most types of events, even accidental fires you or someone else in the home caused. Even still, there are a few cases where your insurance company could automatically deny your claim after a fire. The first one has to do if you are a part-year resident in Florida and your home sits vacant for a period of time. Some homeowner insurance policies have a clause in them that state they will not pay damages if the home was vacant at the time of the fire. An insurance company can define vacancy periods differently. In most cases, a general rule they will follow is a period of 30 days where the home was vacant. It can be unfortunate to find out a house fire on your winter home is not covered because it was vacant. This might not sound fair because you are paying for coverage on your winter home in Florida. However, you do have an option to ensure your home is protected. Most insurance companies offer special endorsement coverage for homes you live in part of the year. Check with your agent to make sure your winter home has this coverage and is protected. The other case where an insurance company will deny your claim is when the fire was set intentionally by the homeowner. In other words, the homeowner committed the crime of arson and deliberately set their home on fire to collect from their insurance policy. You could also be denied if you do not have the right level of coverage on your home. Insurance companies offer different levels of fire protection from basic coverage for natural disasters to more comprehensive coverage for just about any type of event, except for intentionally burning down your home. House fires can result in a total loss from the fire, smoke, and water damage. To ensure your home is properly protected, we recommend reviewing your policy annually with your agent to verify it has the right level of protection. Confirm the deductible amount and maximum coverage values of your policy. If property rates increase in your area, you will want to have your coverage limits adjusted to reflect this. In addition, verify you have replacement value, not actual cash value on your contents. In the event your home is damaged by a fire, after notifying your insurance company it never hurts to get advice from a fires claim lawyer to verify you are getting a reasonable and fair settlement from your insurance company. To schedule a free consultation, please contact Silver, Bass & Brams at 1-888-897-1786 now!